With more than 45 years’ experience, MAKRO is fully committed to its work supporting gastronomy and the restaurant industry, both inside and outside the kitchen, in order to become a hospitality partner. 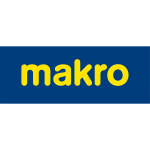 With 37 stores spread across 15 regions in Spain, MAKRO has over 900,000 clients. The company offers hospitality professionals more than 42,000 products, solutions and services adapted to their needs, and only works with high-quality, fresh and local produce. What does Sustainability mean to MAKRO? To MAKRO sustainability means more than just working on environmental and social projects. Sustainability is a question of attitude and an approach to work. It covers all aspects of daily activities (commitment to employees, product range, sustainable operations and social commitment) and it is firmly embedded in the company’s strategy. Sustainability is a responsibility and an opportunity for the business to be in harmony with nature, society, employees, clients, investors and partners. MAKRO sees itself as part of society and therefore supports the Sustainable Development Goals. The company carries out actions which contribute to the achievement of the goals on the global agenda through its commitment to sustainability. The 17 SDGs provide a specific global framework so that companies can contribute to sustainable economic, social and environmental development, and that is what they are working to achieve. 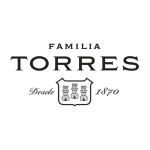 From its origins as winegrowers in 1870, Familia Torres has managed to combine tradition and innovation with the aim of making premium wine and brandy, always with the utmost respect for the environment. Rooted in the Penedès near Barcelona for more than three centuries, Familia Torres has historically wineries and vineyards in Penedès, Conca de Barberà, Priorat, and Costers del Segre. The caring for land and environment, the pursuit for excellence and the passion for wine culture has been passed down from generation to generation: fourth generation Miguel A. Torres pioneered for example in planting Cabernet Sauvignon in Spain creating ‘Mas la Plana’ in 1970, whereas todays fifth generation is focusing on recovering ancestral Catalan, Spanish and Chilean varieties and on continuing to make top quality wines from unique and special vineyards. The Torres family is also present in Chile, California and other Spanish iconic regions with singular wines and vineyards. Torres is a member of PFV, an association of 11 wine families who are among the most prestigious wine producers of their regions. Today, climate change is the greatest threat faced by the wine industry in general, and vine growing in particular. Having confirmed the gradual increase in temperatures, in 2007 Familia Torres decided to intensify its activities aimed at caring for the earth and protecting the environment, setting the fight against climate change as one of the main focuses of its environment policy. The Torres & Earth environmental program was established with the ambitious goal of reducing CO2 emissions by 30% per bottle between 2008 and 2020. Each year, the family owned winery allocates 11% of its profits to tackle climate change, through the implementation of actions to adapt to the effects of global warming – such as the search of new scenarios o more resistant varieties – or to mitigate these effects, promoting renewable energies, energy efficiency, optimization of water resources and eco-efficient transportation, among others. Thanks to this, Familia Torres has reduced its carbon footprint by 25.4% from 2008 to 2017 in all its scope, from the vineyard to final transportation. 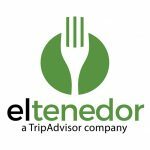 TheFork, a TripAdvisor® Company is the leading online restaurants reservation platform in Europe with a network of 50,000 restaurants worldwide and 18 million monthly visits. The platform operates as “LaFourchette” in France and Switzerland as “ElTenedor” in Spain, as “TheFork” in Italy, Belgium, Portugal, Brazil, Sweden and Denmark. It also operates in English as “TheFork.com“, as Dimmi in Australia and as IENS in the Netherlands. TheFork connects restaurants and diners. Through TheFork (website and application), as well as through TripAdvisor, users can easily select a restaurant according to preference criteria (such as the localisation, type of cuisine, restaurant type and average price), consult user reviews, check real-time availability and instantly book online. From the restaurants side, TheFork provides them with a software solution, TheFork Manager, that enables restaurants to optimize reservations management, streamline operations and ultimately improve service and revenues, following Yield Management principles of price variability depending on time, practices which are used successfully in the travel and hotel industries.